I would like to take this opportunity to provide you with some details regarding a pilot project we are working on for the south portion of Castlefrank Rd. The City of Ottawa’s 2013 Transportation Master Plan has a Complete Streets component that aims to redesign certain city streets to ensure they meet the needs of all people, whether they choose to walk, bike, drive or take public transit. Although different design elements are used based on function and geographic location, the goal is to accommodate the basic needs of all street users. 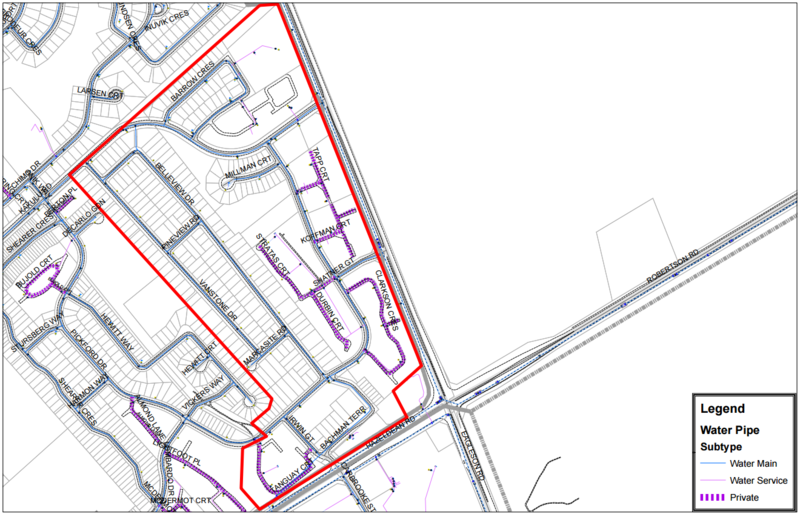 Castlefrank Road has been identified as a good fit for a Complete Street and work will commence shortly to implement bike lanes on Castlefrank between Terry Fox and Hazeldean Road. With the addition of the bike lanes, on street parking along Castlefrank Road will be removed and signed ‘No Stopping’ at any time. Please note that vehicles will no longer be permitted to park on Castlefrank Road with the exception of specific loading areas in front of community mailboxes. Para Transpo will still be permitted to stop along the street to load and unload customers. Delivery trucks are encouraged to pull into driveways, if possible. Residents who use the pool, library and tennis club are encouraged to use the lot off of Castlefrank Road and overflow vehicles can use the parking lot at the Community Centre located on Morrena. If you would like to provide comments or feedback , regarding this project, please email me at allan.hubley@ottawa.ca by June 30th, 2016. As you may be aware, the City’s Official Plan will see the connection of Abbott with Castlefrank later this year, which was the result of a 2005 OMB decision. The road connection is certain to change the dynamic of Castlefrank in some capacity, and the intention of the complete street proposal is to get ahead of any additional traffic concerns that could potentially result from this road connection. The conversion to a complete street would assist in facilitating safe transportation for pedestrians, cyclists and cars and minimize the impact for residents and this traffic calming may deter additional motorists from using Castlefrank as a cut through to access other roadways. The letter was hand-delivered to every house along the street on June 13, and our office is tracking the responses. Most residents prefer a letter-drop over a public meeting because it enables everyone the opportunity to participate. As you may be aware, the design for converting Castlefrank to a complete street would see the removal of on-street parking from both sides of the roadway. Currently the unsigned default parking restrictions apply, which is limited to 3 hours from 7:00am-7:00pm, unless otherwise noted. Residents who are accessing the soccer fields would have the option of parking in the parking lot on Old Colony, as well as at the Lion’s Den. Furthermore, additional parking for use of the Glen Cairn outdoor pool and library can be found in the parking lot at the Glen Cairn Community Center off of Morrena. Numerous inquiries about safety concerns have been brought to the attention of the Councillor regarding on-street parking during soccer games and issues with parents and children running out onto the road in between parked vehicles. As you may be aware, the curve in the road and on-street parking can create sightline issues and therefore, using the mentioned parking lots is recommended to ensure safety of the soccer field users. Our office will welcome feedback from the community, which is being accepted until June 30, and he will continue to work with the Traffic Department to address any concerns that are brought to our attention for further review and consideration. 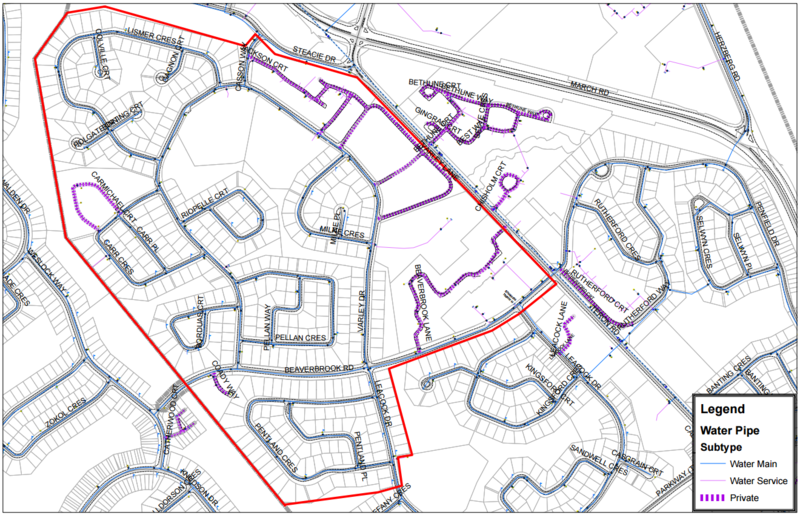 Please note that these plans are only proposed at this time and the letter you and your neighbours have received was sent in hopes of obtaining feedback from the community to ensure the residents who may be impacted by any changes, have had the opportunity to comment on this proposal. This maintenance procedure is routine; however, you may experience brown or rusty coloured (discoloured) water during testing. You can use water during the testing as it is safe and not harmful to your health. It is recommended that you avoid doing laundry as it may stain. If you detect discoloured water, avoid using your hot water. Turn on one cold water tap, and allow it to run for approximately five minutes – or until the water becomes clear. These inspections are currently scheduled to take place between 8:00 a.m. to 4:00 p.m.; however, unforeseen circumstances may require changes to the work plan. The City wishes to thank you for your patience and co-operation. For additional information, please call the Water Information Line at 613-560-6089. Alternatively, you can visit ottawa.ca/water. A copy of this document is available in alternative formats upon request.